Steve Smith, the astronaut who went on four space walks, had a philosophical answer when asked what mankind really discovered on the moon. Smith, who prior to becoming an astronaut worked for IBM in the Large Scale Integration Technology Group, likened the infrastructure mankind is building in space to the app ecosystem that was built on top of the smartphone. “Open-minded people will come up with thousands of things to do with space infrastructure,” he said. Smith spoke on a Think 2019 panel Thursday that included Taylor Richardson, high school student and aspiring astronaut; Matthias Biniok, Lead Watson Architect DACH at IBM; and Homer Ahr, a computer scientist who worked on Apollo 11. Musician Imogen Heap demonstrated two compelling technology visions Thursday – one to help musicians, the other to help the music industry. The Grammy award winning singer and songwriter showed how a pair of IoT-wired gloves could enable her to create music in real time, which she did by performing her hit “Hide and Seek” for the assembled crowd at Think Park. By making gestures with the gloves, she was able to manipulate sounds in real-time and build a song from scratch without touching an instrument. Just as important to her, though, is her work in helping to revive the music industry, which is still reeling from disruptive changes brought on by the digital era. Working with IBM, she’s developed a blockchain-enabled technology, called Mycelia, with the ambition of building an “open database of all musicians on the planet.” It helps ensure musicians get paid the royalties they deserve and aims to create a "sustainable and vibrant music ecosytem." Heap is optimistic that blockchain will prove beneficial to musicians and fans. “I want to share the positivity with musicians," she said. "Something great is coming." Chelsea Clinton joined IBM Chief Digital Officer Bob Lord and two entrepreneurs in a morning discussion before a packed house on how successful, scalable businesses need to be a force for good in the world. One of the entrepreneurs – Ira Ehrenpreis, founder and managing partner at VC firm DBL Partners – said his company is founded on “rejecting the conventional historic view” that building a successful business and positively impacting the world cannot co-exist. To do both, however, it helps for companies to be big. “You can’t have impact in the world until you get scale,” Ehrenpreis said. Some of DBL’s portfolio companies are tackling food waste, replacing kerosene as an energy source in Africa, and helping with disaster relief. 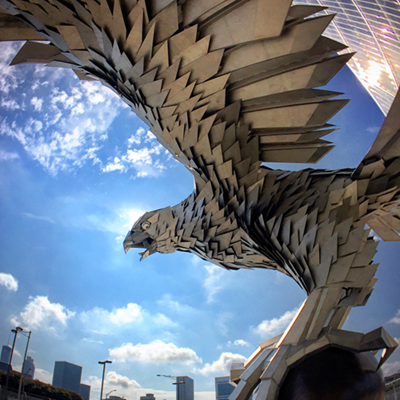 Co-founder of Project OWL Bryan Knouse – which won the Call for Code challenge last year – said one of the key advantages of open source is the access it provides to the creativity of developers everywhere. “Open source is a distribution strategy [that can] open the room to any developer in the world,” he said. Clinton – who offered the truism that “optimism is a moral choice” – explained why her efforts are so youth-focused. “There are so many dynamic ideas coming from young people. If invested in and encouraged early, they will only have more,” the former first daughter of the U.S. said. Good morning! 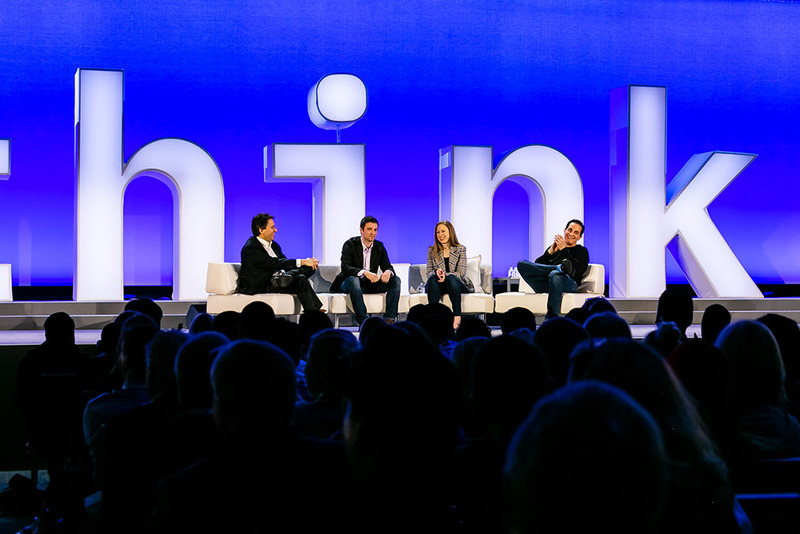 As you enjoy your morning coffee, here are key sessions to include on your Thursday schedule at Think 2019. IBM Chairman, President and CEO Ginni Rometty will lead a panel discussion on Open Source: The Cornerstone to Innovation and Future for the Enterprise. It’s at 11:30 am PT in the Yerba Buena Center. 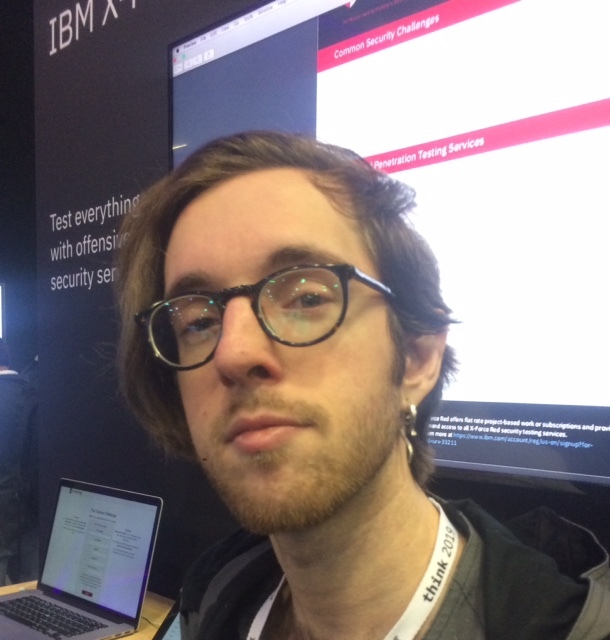 IBM researchers will host Trusted AI for Fair and Explainable Outcomes, at 10:30 am PT in Moscone South, Hall D. How to create unbiased AI is a major theme of the conference. Musician Imogen Heap will discuss how blockchain is helping to build a sustainable music ecosystem for artists: Mycelia - Connecting the Dots for Music Makers at 11:30 am PT in Think Park. and professional skateboard legends will discuss technology during Freestylin’ the Cloud with Tony Hawk and Rodney Mullen at 2:30 pm in Think Park. Roger McNamee made his name, and fortune, as a venture capitalist. He now describes himself as a “citizen activist” trying so save Silicon Valley from itself and the rest of society from what he sees as dangerous business practices. 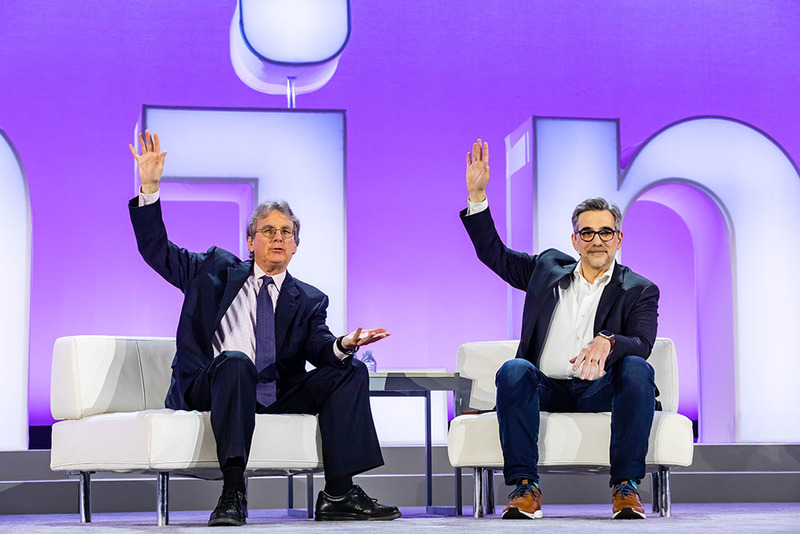 At Think 2019, McNamee discussed parts of his new book “Zucked” with IBM’s Seth Dobrin. The book has become a bestseller, so some of McNamee’s story may be familiar. He was an early mentor to Mark Zuckerberg, and in 2016 McNamee became increasingly concerned that now familiar ad-driven business models might not be the best thing for society’s collective mental health, or for democracy at large. McNamee doesn’t think all of tech is troubled; some companies do deal with their customers responsibly, he said. Putting trust at the center of future business will not only be good for society, it will be good for companies and for innovation, he insisted. “Going back to treating people as real human beings is going to be good business,” he said. Ethical hacking, which helps clients discover security vulnerabilities by trying to break into their systems, is an unusual business, so it’s fitting that it would impart unusual titles. Befitting a hacker, Crowley is something of a subject matter expert on the topic of Sealand, where it turns out he has, in fact, been designated a Baron. For more on X-Force Red, check out the excellent comic book titled "Exploit" and based on a true story that was just published. Have you ever actually seen a cloud? We mean the system that increasingly stores and crunches much of the world's data. 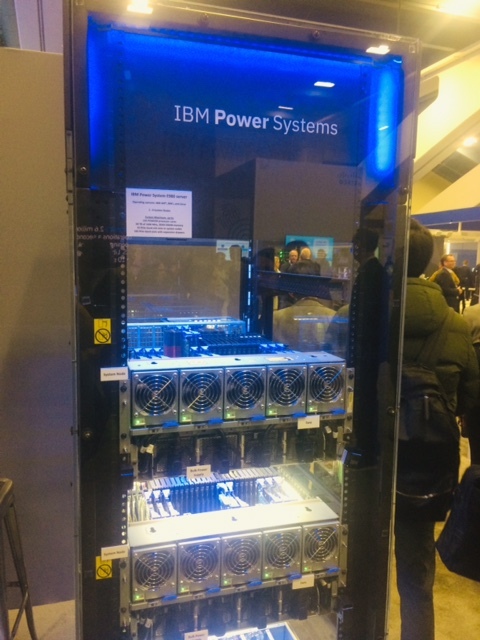 This is IBM's Power System E980, the most powerful and scalable server IBM offers. 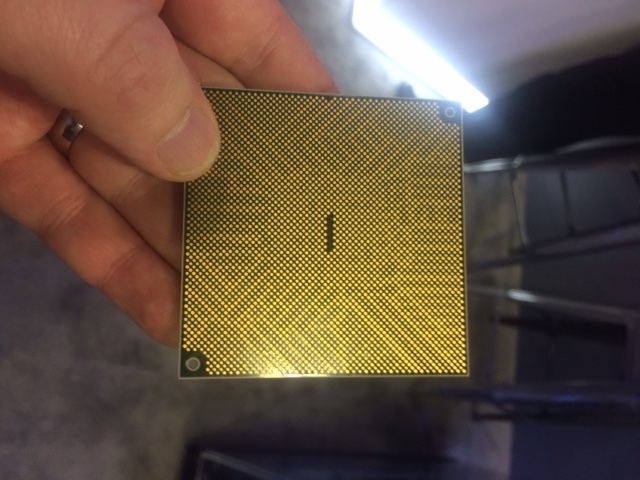 The POWER9 and E980 are the components and building blocks of Summit and Sierra, the most powerful supercomputers in the world. Summit can perform 200 quadrillion mathametical calculations per second -- which you have to admit is a lot. Technological change is only going to accelerate. How are you going to keep up? Rich Karlgaard, futurist and publisher of Forbes, shared a startling anecdote this morning in his presentation “The Centrifuge of Technological Change Never Stops.” Former Cisco CEO John Chambers mentioned to Karlgaard a few years back that 40% of the top 500 companies in the U.S. would fail within five years. 40%! Failure isn’t always obvious right away, either. Sometimes it is, like bankruptcy, but often it’s more subtle. You may stop hitting your metrics, have a hard time recruiting and retaining talent, or your company begins to seem less relevant. While these don't have the we-just-hit-a-wall kind of drama that a sudden collapse does, they can be indictors that your enterprise isn’t long for the world, he said. Much of this is due to the fact that the pace of technological change is increasing – and that is sure to continue. Karlgaard identified four things companies must learn to adapt and thrive. Know what your values are, and stick to them. Keep your teams small, and have a good balance of personalities. Here's some food for thought: New technology is going to impact nearly everything about what we eat. IBM Research today offered bold predictions on how blockchain, IoT, cloud and other technologies will improve food safety, detect foodborne illnesses before they become a public health threat, and make all plastic recyclable – within 5 years. Juliet Mutahi, software engineer at IBM Research, explained how small farmers in Africa are already digitizing their farms, which is helping them measure soil health and maximize crop yields. Blockchain and IoT will dramatically transform the food supply chain, keeping our food fresher and safer, said IBM’s Sriram Raghavan. An example: Florida orange grower will use this tech to understand demand in near real-time (are people buying more oranges in Atlanta or Chicago? ), and thus make sure supplies are sent to where there is the most demand. IoT will help track produce while being shipped, thus reducing spoilage. We know some microbiomes are good for humans and some are not, but how do we know how these two kinds interact with each other across the food supply chain? Geraud Dubois said IBM has partnered with other organizations – Mars Inc., Bio-Rad, and Cornell University – to build a database of microbial genomes not yet mapped. This well help research scientists understand how microbiomes interact with each other and when they become threats. Jeannette Garcia, Master Inventor at IBM, described the “plastic crisis” – the colossal amount of plastic waste in the world – and how we can fix it. Advancements like the VolCat, which looks a bit like a pressure cooker, can potentially make all plastics completely recyclable within five years! The world’s oceans will thank us. Incredible stuff. Again, there’s a lot more to read here. There’s a lot of conversation at Think 2019 about Watson Anywhere and open AI, and for good reason -- it’s a major initiative at IBM. If you’re wondering why it’s such a big deal, check out this video. Also, here's a cool thing you might have missed: A comic book on X-Force Red, an anonymous team of hackers inside IBM Security. It's fun reading (and educational too). Good morning! Here’s what you don’t want to miss today at Think 2019. Luckily it’s all indoors on this rainy San Francisco day. One big event today is IBM Research Science Slam: Predicting 5 Innovations to Help Change Our Lives in the Next 5 Years. 5-in-5 will be at Moscone at 10 AM PT. Watch here if you can't be there in person. Entrepreneur, publisher and futurist Rich Karlgaard will host “The Centrifuge of Technological Change Never Stops” from 9:30 to 10:00 PT at Moscone. Venture capitalist Roger McNamee will discuss his new book Zucked at Think Theater from 2:30 to 3:10 PT. IBM’s Michelle Alvarez will discuss “An Overview of the 2018 Cybersecurity Threat Landscape” from 3:30 to 4:10 PT at Moscone. It’s also the first full day the Expo is open, showcasing some of the most interesting new technologies. Also: here's a good wrap-up of everything that happened yesterday. IBM Chairman, President and CEO Ginni Rometty covered a lot of ground in her Think 2019 keynote, with an emphasis on how many companies are entering “Chapter 2" of cloud adoption and digital transformation. Now that companies have established their digital presence and are interacting with their customers through digital platforms, the next phase involves scaling up, leveraging data across public and private clouds and traditional IT (i.e. hybrid cloud environments), and putting AI at the center of business processes. Guest speakers included John Donovan, CEO of AT&T; Ted Chung, CEO of Hyundai Card; Bernard Tyson, Chairman and CEO of Kaiser Permanente; Greg Kalinsky, EVP and CIO of Geico; and Jim Whitehurst, President and CEO of Red Hat. Kalinsky said he saw the potential of AI when a Watson-powered customer service app made a sale to a prospective customer – and the customer clearly couldn’t tell he was speaking to an AI app. The fact that insurance companies are, at core, data companies means that AI will only become more important, he added. AT&T’s Donovan talked about another upcoming transformative technology: 5G networks. “5G is a game changer,” he said. The movement of company data from on-premises to the cloud is a normal progression, Donovan said, as centralization was necessary for efficiency, while decentralization is necessary for innovation. At Kaiser Permanente, Tyson says hybrid cloud may help address one of the biggest challenges in healthcare. “We want to help solve the affordability problem,” he said. And AI transformation will touch all companies, Chung said, so it's important to be committed to change to succeed. ... the waitress at your restaurant is an enthusiastic investor in cryptocurrency and makes a compelling case for AI when she brings you the check! How much harder has security gotten in the digital era? Maersk got a wake-up call when the company was hit by a cyberattack in June of 2017. “We became collateral damage” of a state-sponsored cyberattack, Andy Powell of Maersk told Think 2019 attendees at a panel that included IBM’s Mary O’Brien and former professional racer Danica Patrick. Security used to be a fairly straightforward: You put up a wall to keep threats out. “Unfortunately that is no longer the case. The wall is gone,” Powell said. 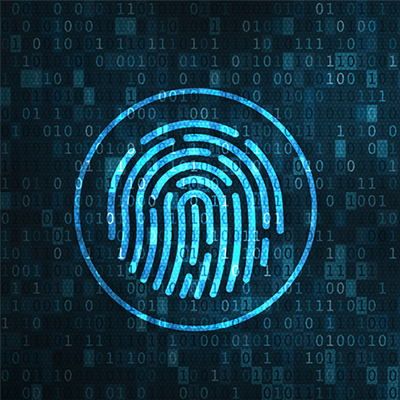 The reality for businesses today is that every transaction with a client needs to be protected – a complex endeavor, to put it mildly, he said. Mary O’Brien said much of the risk is the result of the enormous complexity built up in IT over many years. IBM has seen organizations with as many as 80 different security products from dozens of different vendors, she said. This can lead to the siloing of data, making security even more challenging. Security professionals need to prepare for the worst as a matter of course and avoid complexity wherever possible, she said. If you can’t be here in person, you can watch the Think 2019 keynote by IBM Chairman, President and CEO Ginni Rometty here. The title: "Building Cognitive Enterprises." Tune in at 3:30 pm PST. Don't miss! Quantum computing can be challenging to fully comprehend (you wouldn’t be alone in that), but few doubt its potential power. That's because quantum enables exponentially faster computation than what we have now. How does it do that? It takes advantage of the laws of quantum mechanics found in nature, according to IBM. The full implications are vast, but companies are already using quantum for complex risk management and molecular modeling. Gil described chemistry as one of the “killer apps” of quantum. Daimler is using quantum computing for battery research. The technology has such vast applications that the company saw the need to invest now, despite the fact that there are relatively few people skilled in quantum programing. If you’re one of the growing number of people interested in learning how to program for quantum, you’re in luck. Hollywood and comic books often picture human-like robots as possessing fantastic super-human strength. But while it’s true that robots already exist that can augment human ability, Conor J. Walsh, John L. Loeb Associate Professor of Engineering and Applied Sciences at Harvard, demonstrated that the reality isn’t quite so superhero-ish, at least not yet. In a standing-room-only presentation at Think 2019, Walsh explained that embedding tiny robots into clothing will do things like help stroke and accident victims recover natural movement, and prevent workplace injuries. Harvard has been doing a great deal of research in this area, and already there are companies coming to market with wearable machines that mimic human muscular movements, adding significantly to strength and mobility. The technology holds the promise of helping stroke victims walk in a more natural way than they otherwise would, Walsh said. These devices are pretty expensive right now, but the goal is to make them inexpensive enough to be a regular part of rehabilitation, Walsh said. “I think you blew many minds in this room,” someone said before a brief Q&A. Indeed. There will be a ton of news coming out of Think 2019 (as you might expect) and IBM just made a major announcement: Watson can now be used on any cloud, not just IBM’s. 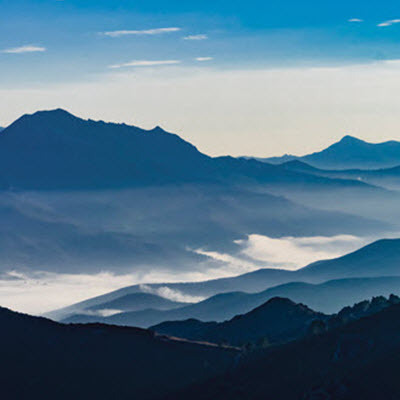 This means that Watson services, such as Watson Assistant and Watson OpenScale, can now run in any cloud environment via integration with IBM Cloud Private for Data. It’s a big step forward for both AI and cloud, as organizations are increasingly looking to work across multiple platforms and vendors. Expect to hear a lot more about this over the next few days. 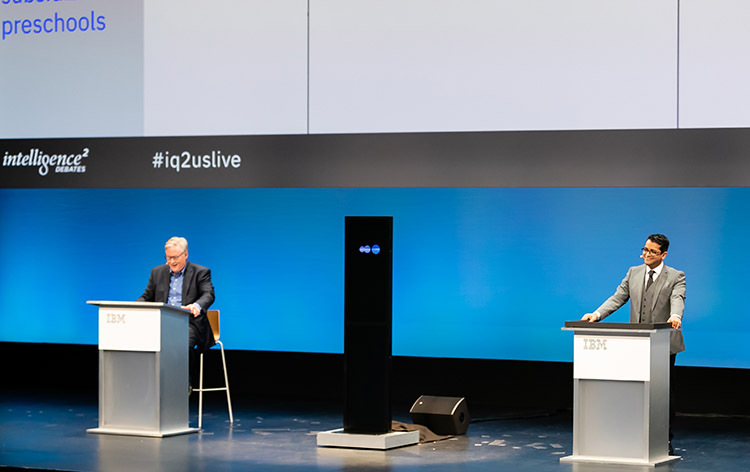 If you missed the face-off between IBM's Project Debater and human debate champion Harish Natarajan on Monday evening (no spoilers on who won! ), you can watch a replay of all the excitement here. There's also a recap of the debate we published here. Harvard professor Conor Walsh will deliver the presentation “Disruptive Robotic Technologies Augmenting Human Performance,” at 9:30 am PST at Think Park. Worth checking out if you’re interested in cutting-edge thinking about wearables and IoT. 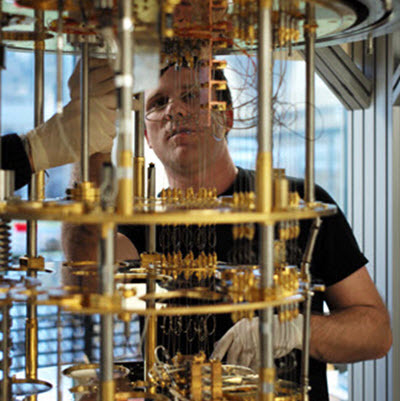 Director of IBM Research Dario Gil will discuss one of the most important emerging technologies of our time in “Access the Future Today: Quantum Computing,” at 12:30 pm PST in the Yerba Buena Center. Quantum computing holds the promise of utterly transforming our world, and few people know it better than Gil. We’re also interested in a presentation from IBM’s Mary O’Brien and former professional race driver Danica Patrick on “Innovation Doesn't Happen Without Security. And Security Needs Innovation.” That’s at 1:30 pm PST, also at Yerba Buena Center. As mentioned yesterday, don’t miss the main event of the day: IBM Chairman, President and CEO Ginni Rometty will deliver the Think 2019 Chairman's Address, on “Building Smarter Businesses,” from 3:30 – 5:00 pm PST. If you're not here in person, you can watch the live stream here. 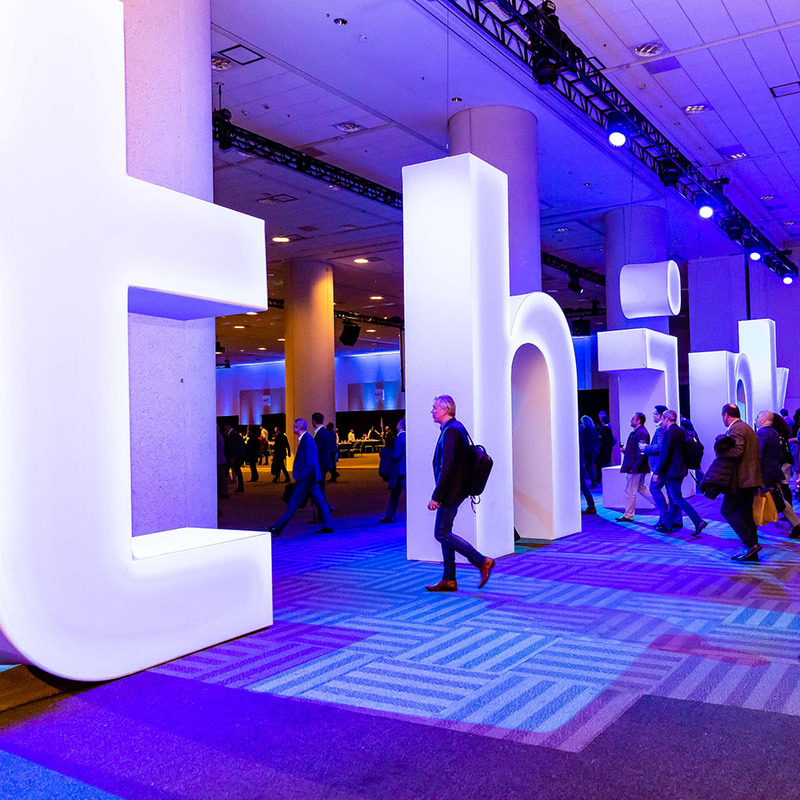 And finally, before you leave Moscone later today, make sure to check out the Expo Grand Opening, and prepare to surprised and delighted by what people are doing with all of the cutting edge technology here at Think 2019. Project Debater (which has a female voice) took the pro side, Natarajan took the con, and the audience was tasked with choosing sides after two rounds of debate and a closing argument. While more attendees agreed with Project Debater’s “pro” argument (79%) before the debate began, Natarajan was able to persuade 17% to change their position, and was thus declared the winner. Yet, whichever side you take, the artificial intelligence on display is impressive. Project Debater demonstrated the ability to develop complex, nuanced arguments, and make convincing rebuttals, in just a short period of time. People were livetweeting the event -- using the hashtag #ProjectDebater -- and reactions seemed mostly favorable. I would love to see #projectdebater injected into every political debate just to force more data-driven POVs. Other observers commented on Project Debater's ability to parse data and contextualize, but at least one pointed out a perceived misstep in making its argument. Quite a kickoff to Think 2019. See you tomorrow! Hello, and welcome to IBM's Think 2019 live blog! 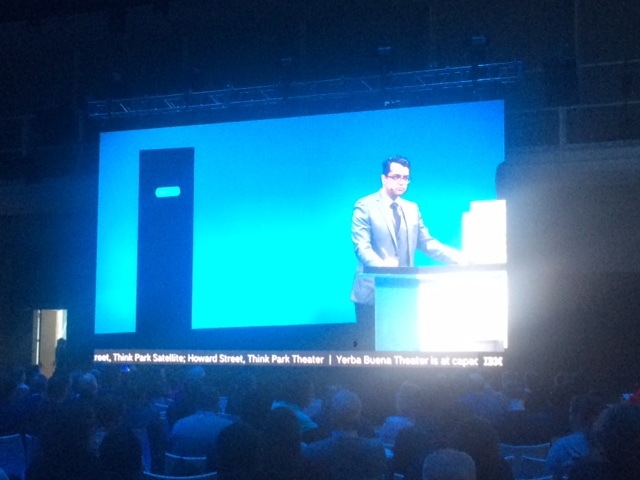 We're at Moscone Center in San Francisco for IBM’s flagship event. As mentioned in our kickoff post, Think 2019 is focused on new and emerging technologies including cloud, AI, blockchain and open source, with IBM executives, clients and partners sharing their insights and perspectives. Whether you're attending or watching from afar, follow this blog for all of the highlights. There's a lot going on (the whole program is here), but make sure you don't miss the keynote from IBM Chairman, President and CEO Ginni Rometty, who will speak on Tuesday, February 12, at 3:30 pm PST. If you can't attend in person, you can always watch the live stream here. Also, don't miss IBM Research's latest “5 in 5” technology predictions, which will be presented on Wednesday at 10 am PST, highlighting five ways that emerging technologies will radically change business and society over the next five years. Although Think 2019 officially kicks off on Tuesday, there's one don't-miss event happening Monday. IBM’s Project Debater, an AI system that can take one side in a rational debate, will compete against a former European champion debater at 5 pm PST. Will machine triumph over man? You can watch it here. Finally, if you haven't already, you can register here, and build your agenda here.